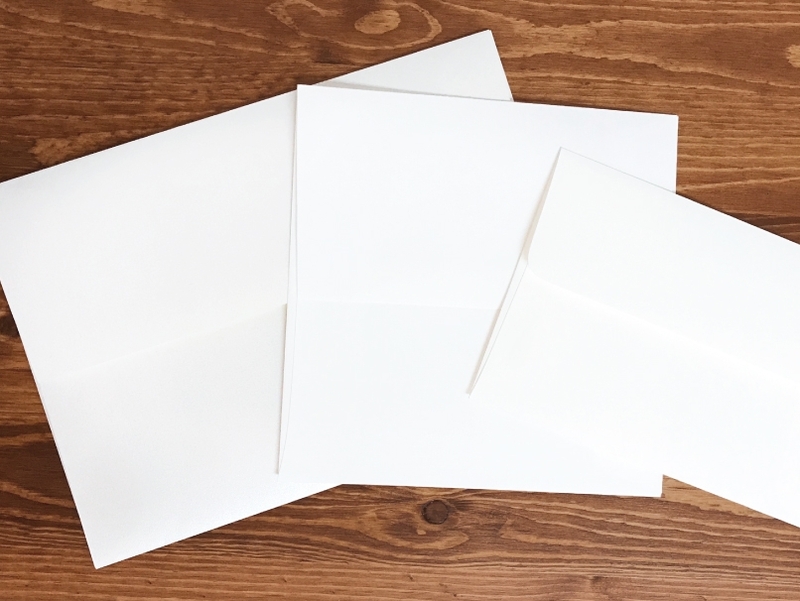 Our Envelopes come printed or plain in a variety of sizes and colors. 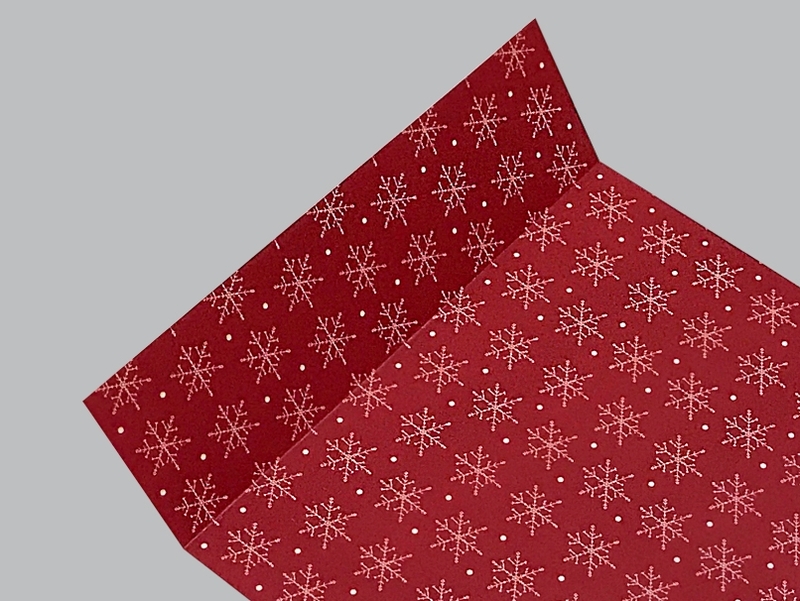 Add optional envelope liners that match your card designs for tailor-made invitations, holiday cards and announcements. 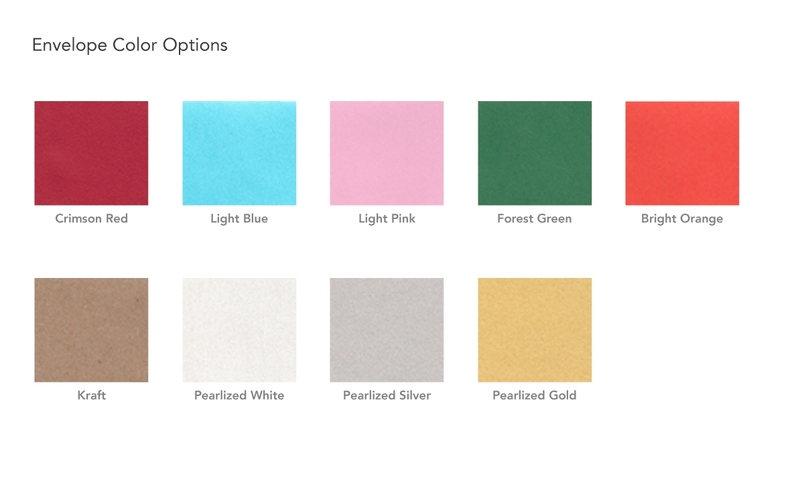 Choose from specialty envelope papers including Pearlized, Kraft Paper or Colored Brights. Or upload your artwork to custom print on the front or back of an envelope. When you order cards from us, envelopes are automatically included but can be purchased separately too. Production turnaround time is 2-3 business days for printed envelopes, 1 business day for plain. Available in 7 popular sizes: 4 Bar, #10, A2, A6, 5x5", A7, or A9. 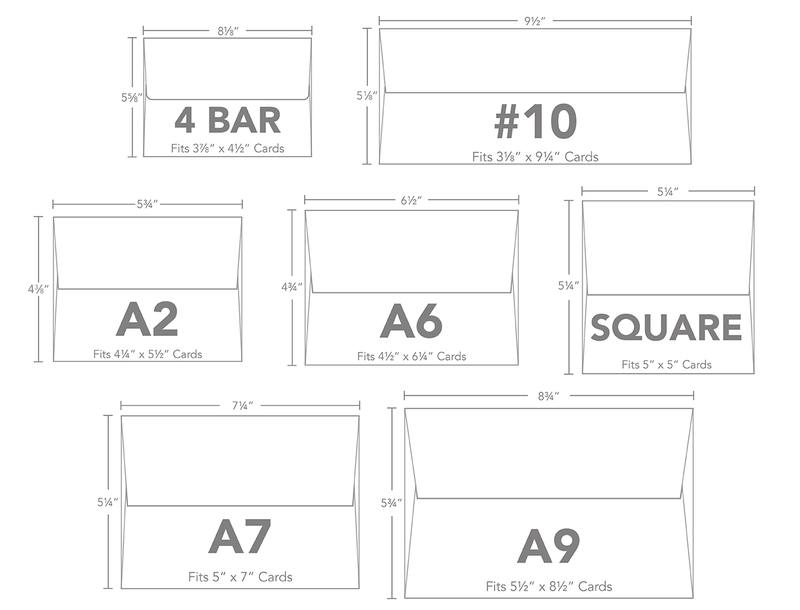 See our Envelope Sizing Chart for dimensions. Print your own design on the full front, full back or back flap of the envelope at $0.30 per side. Or choose from 28 Designer Envelope graphics in BRI ROES at $0.47 per envelope, 28 designs in 3 sizes only. See the Envelope Printing tab for details. All cards include either Linen or Eggshell Envelopes at no charge. 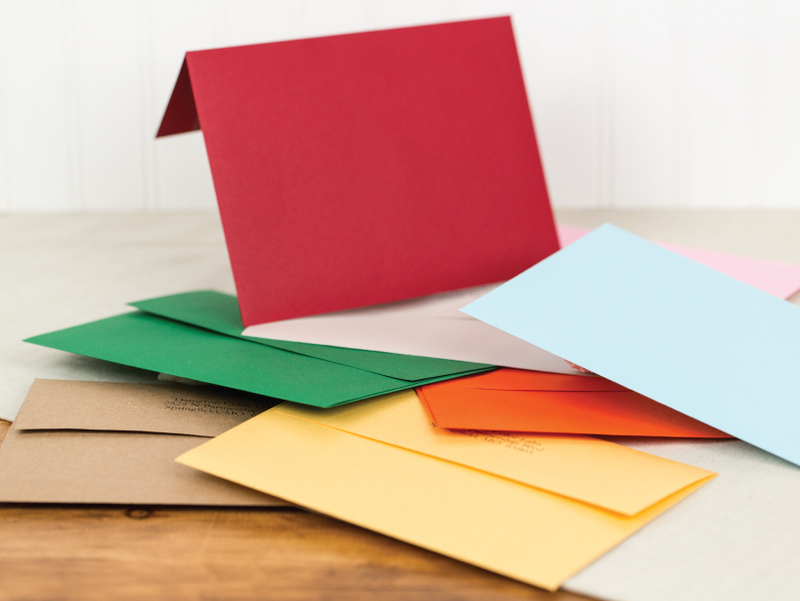 Or make a statement with optional Colored Envelopes in 9 Bright, Pearlized or Kraft colors. See our Colored Envelopes Chart for details. Purchased with a card, Colored Envelopes start at $0.19 each; purchased separately, $0.32 each. 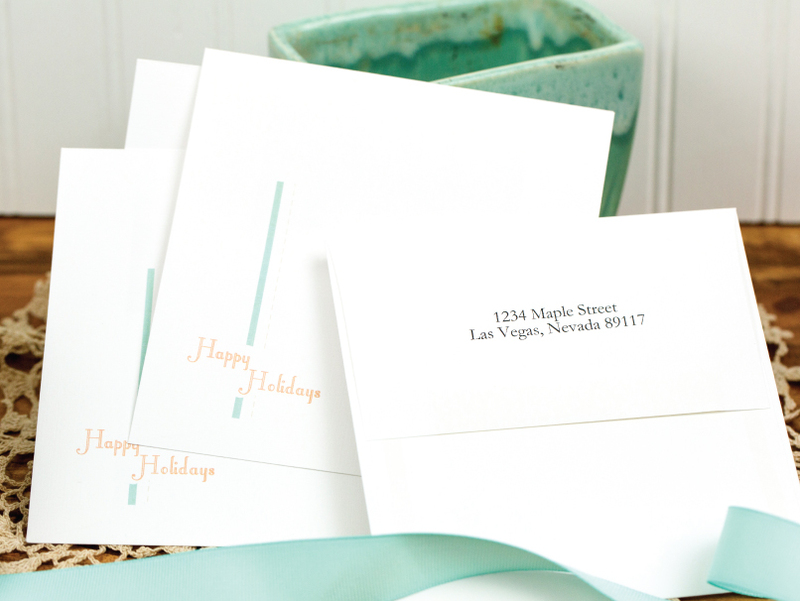 For a finished look, add optional Envelope Liners to match your card designs. 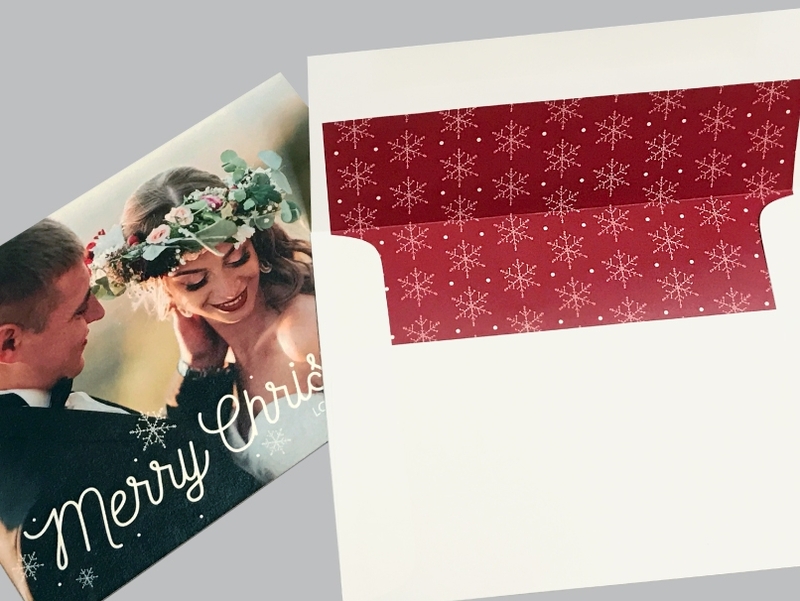 Envelope Liners are printed on 60 lb matte smooth paper with adhesive backing. We'll print and insert each liner for $0.72 each. Or we'll print only for $0.46 each and you can insert the liners yourself. Insertion instructions below. Fold the liner along the crease. 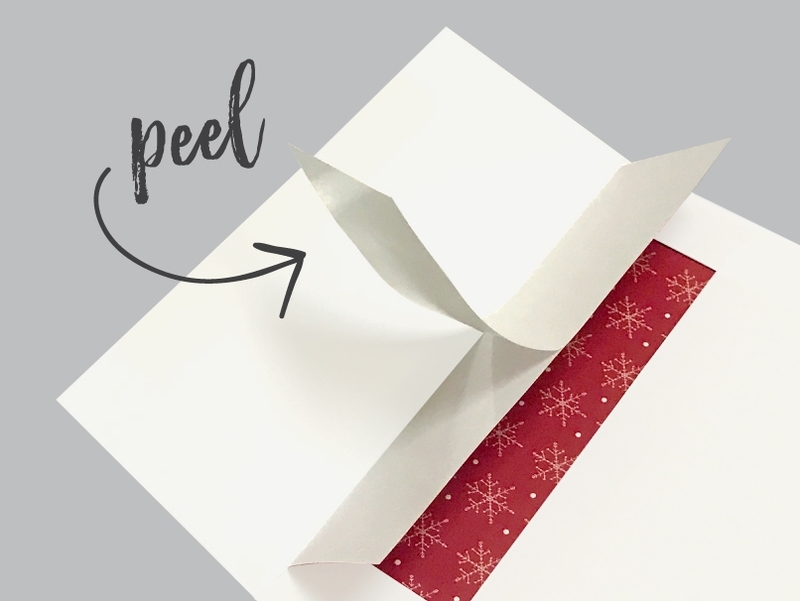 Slide the envelope liner inside the envelope so it aligns with the crease. Peel the label backing from the top half of the envelope liner. Attach the adhesive side of the liner to the envelope. 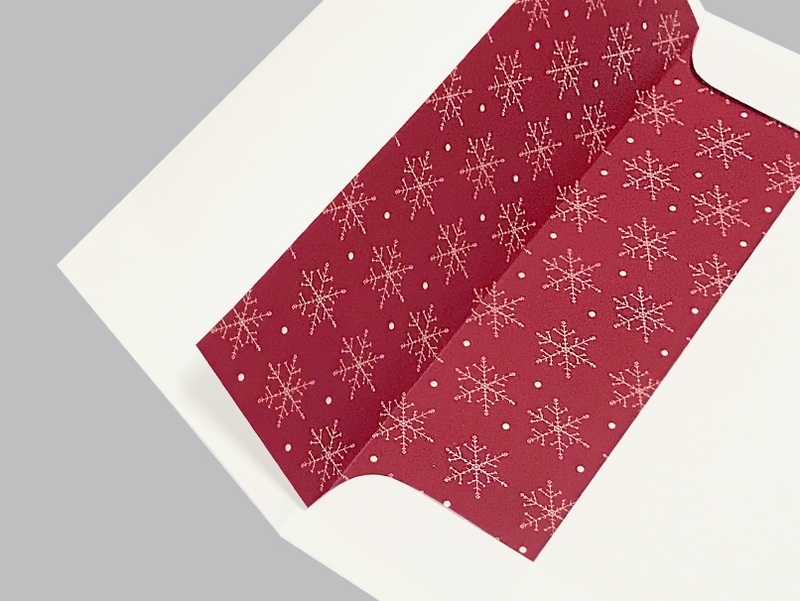 For a paper suite that looks tailor-made, coordinate the liner with your card design too. We'll print your custom design on the front of the envelope. 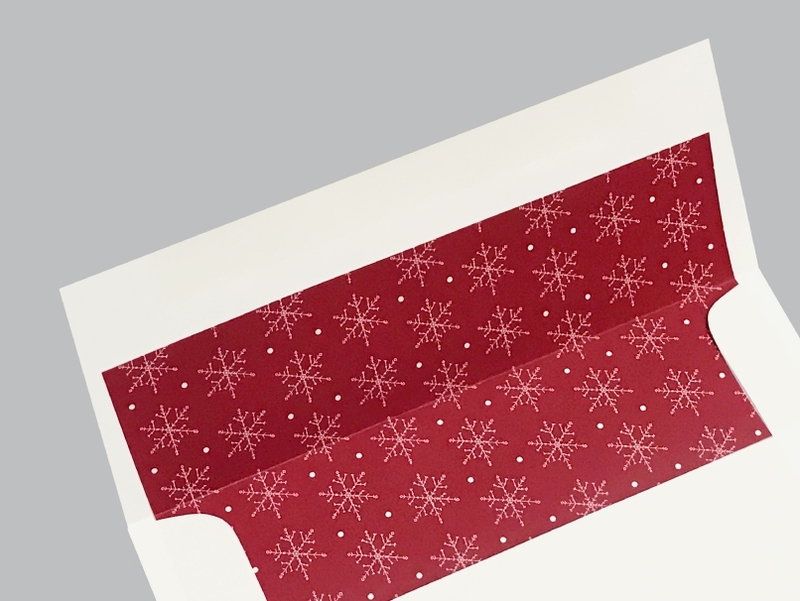 To ensure your design meets postal requirements for stamp and barcode, see our Envelope Sizing Templates. $0.30 per side. We can print on the entire back envelope, not just the flap. For detailed specs, see our Envelope Sizing Templates. $0.30 per side. Print a Return Address on the back flap of the envelope. In BRI ROES, simply choose your font and type in your custom text. When ordering on the web, use our Envelope Sizing Templates for a perfect fit, then upload your printable image as a JPG or PDF. $0.30 per envelope. 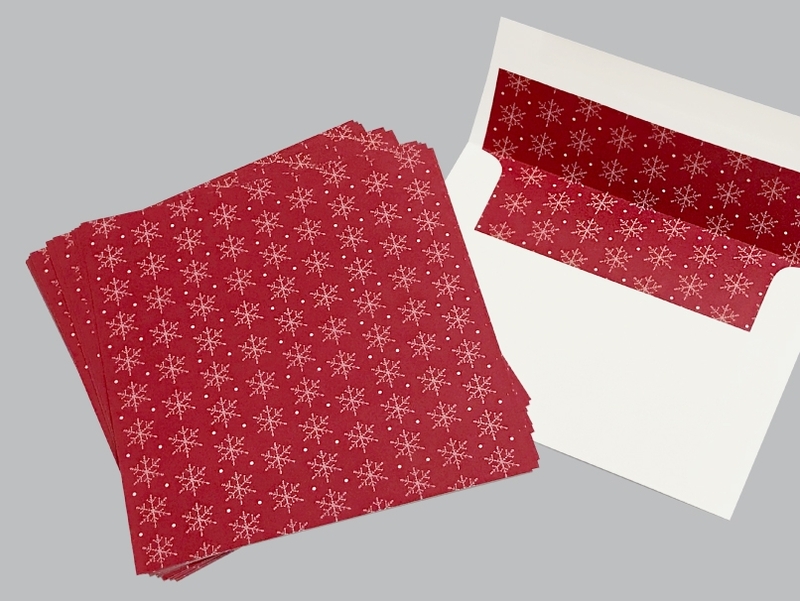 Send glad tidings with holiday-themed Designer Envelopes. Choose one design to print on the front of each envelope, with an optional return address on the back flap. Available in 3 envelope sizes: 4.25x5.5", 5x5" or 5x7". See our 28 designs below. $0.47 per envelope. Eggshell and Bright Colored Envelopes are 70 lb paper weight, Pearlized is 80 lb and Linen is 60 lb.